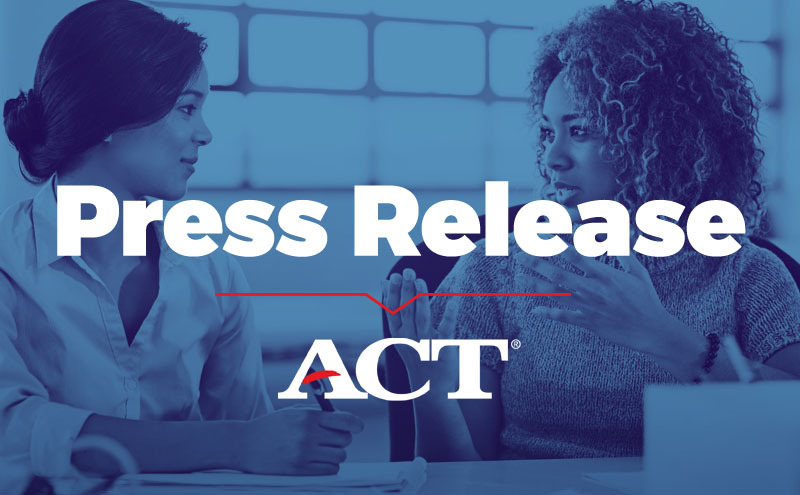 IOWA CITY, Iowa—ACT, Inc. and Aspiring Minds have partnered to launch ACT® Stack™, a work-readiness solution for institutions, employers and individuals around the world who need to identify and measure work readiness covering foundational, job-specific and essential skills. ACT Stack combines a comprehensive set of foundational and job-specific skill assessments from ACT and Aspiring Minds that are designed to validate the skills necessary for success in the workplace. Together they will enable “stackable credentials” for current and prospective employees as well as students, helping companies and institutions better prepare people for jobs in the 21st century. ACT is the nonprofit learning, measurement and navigation organization behind the ACT® test, ACT® WorkKeys®, and the ACT® National Career Readiness Certificate (NCRC®). Aspiring Minds is a global leader in talent assessments and credentialing, working with some of the world’s largest corporations to help select the right talent and with institutions and job seekers to measure and credential job readiness. Aspiring Minds’ highly scalable artificial intelligence (AI)-driven assessment and interviewing technology consistently helps organizations of all sizes take the guesswork out of hiring their ideal candidates. ACT Stack easily enables organizations to assess their employees’ competencies and identify key skills and performance gaps. With AI-driven technology, companies can better manage the costs associated with an unsuccessful hire and hire with confidence for all types of positions and skill types. ACT Stack will combine ACT assessments and credentialing programs such as ACT WorkKeys and the recently launched ACT® Tessera® Workforce with Aspiring Minds’ Automata, the world’s most advanced programming assessment; SVAR, AI-powered spoken language assessments; and over 200 simulations and skill tests. This robust set of assessments will be delivered on Aspiring Minds state-of-the-art assessment and credentialing platform providing a simple yet powerful user experience. For more information about ACT Stack, visit: www.act.org/stack.